I love to see a room transformed. 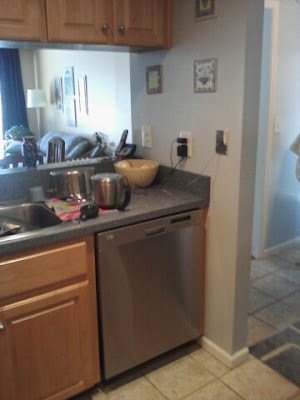 It can easily be done with something small or a big overhaul! We recently did some rearranging of our furniture. Our old TV bit the dust, but our in-laws were nice enough to give us their old flat screen until we find what we want. That meant we were able to move our electric fireplace into our family room, with the flat screen above it. That is where we had hoped to eventually put it after we got it as a Christmas gift from my parents last year. Up until now we have had it in the living room. It looked nice there, but we will enjoy it more in the family room. After moving the fireplace out, we were left with some room to fill. The chairs we had were small and mismatched and didn't give us the look we wanted. 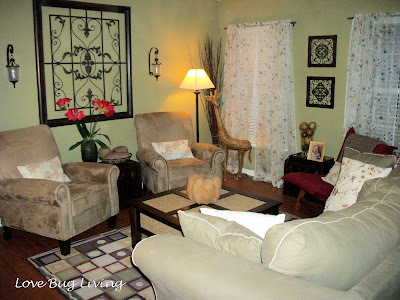 We decided to try moving our two armchairs from our bedroom into the living room. This was the look we were after! The chairs looked great in there and really filled the space. It also was nice to free up some space in our bedroom. We moved another chair into there and made more room for the baby's play crib. I hope to find a armoire type cabinet to hold my craft supplies and material that will work in the bedroom as well.﻿ No cost decorating just takes a little effort and creativity. Move some furniture around and try something new. It can really freshen things up! Other transformations are much more involved! My parents still live in the same home that I grew up in. They've been there about 33 years I believe. You sometimes see those homes of people that have lived in the same house forever and it looks like they've never updated it at all. Luckily, that is not my parents! They are always updating with the times and have a simple, traditional style. 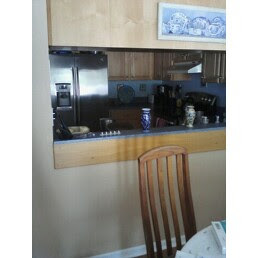 The kitchen was separated from the dining and living area by this pass through wall. There was a view into the dining and living area, but the cabinets did keep it from having an open feel. This is the view of the right side of the kitchen, closest to the dining area. 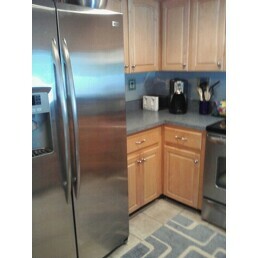 ﻿This is the left side of the kitchen. Looking out the pass through wall, with a view to the living area. The door is behind that small wall. 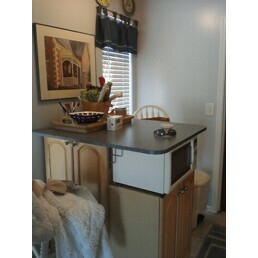 This is a high top table and storage area that my Dad had built to help give them more space. The area was always cramped, with little storage space. The kitchen makeover turend out beautifully! It really changed this whole side of the house. It is so much more open. 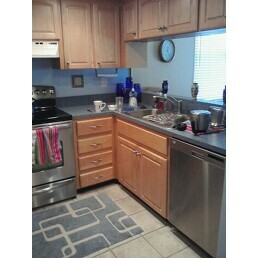 The kitchen area was widened only about 10 inches, but it feels like so much more. 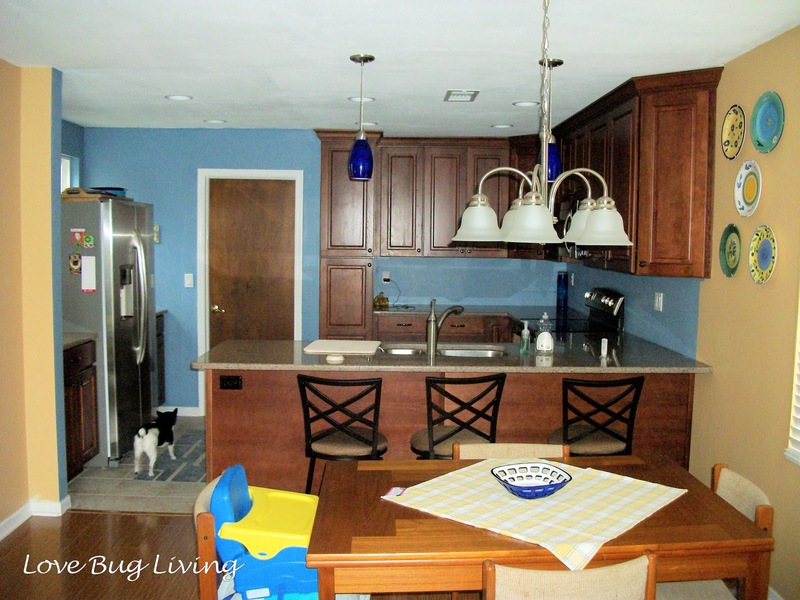 Taking down the half wall and incorporating the old seating area into the kitchen made a huge impact. The room has so many space saving ideas: sliding spice racks, lazy susans, taller cabinets, large drawers, and the breakfast counter. They are still doing some work, looking for tiles to create a backsplash, but they know what they want so it should go pretty quickly. 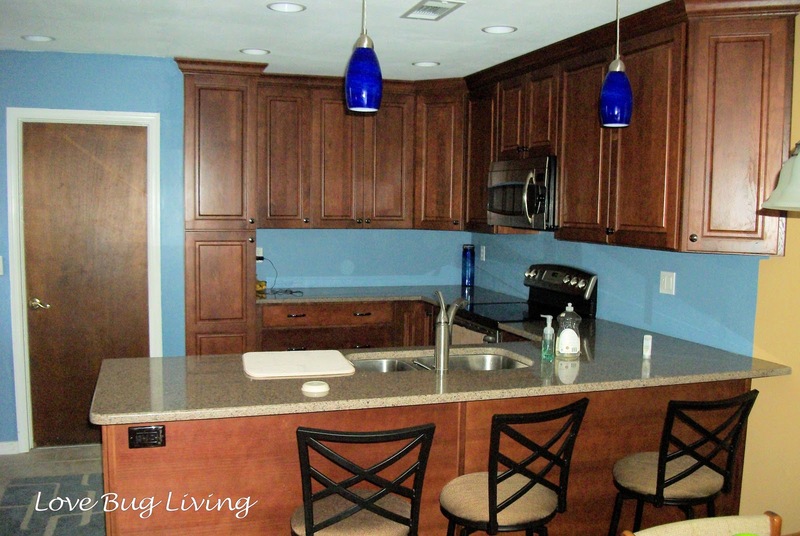 They are really enjoying their new kitchen, especially after being without one during the construction phase. The girls love to sit at the counter to eat and to help Mimi make meals. 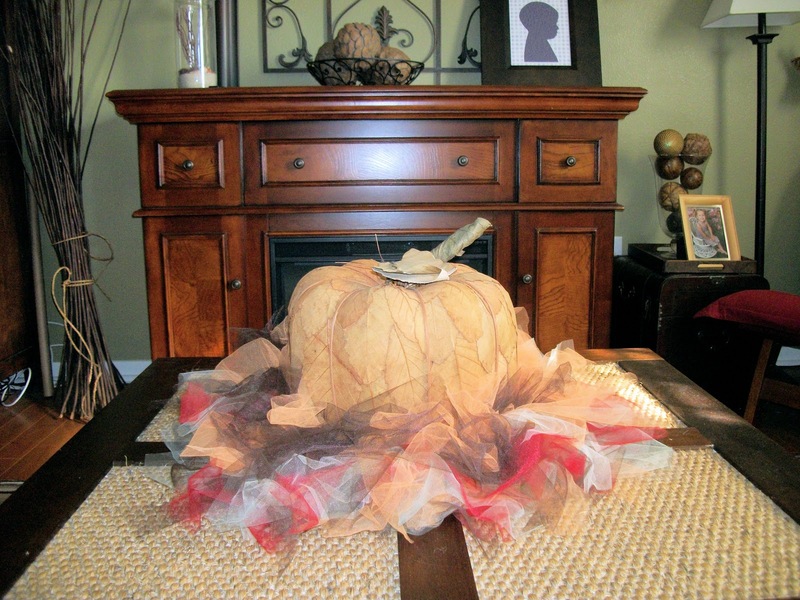 We are all looking forward to enjoying the space at Thanksgiving!